The town of Forlimpopoli is situated on the plain of the Romagna region, about 15,5 miles from the Adriatic coast. 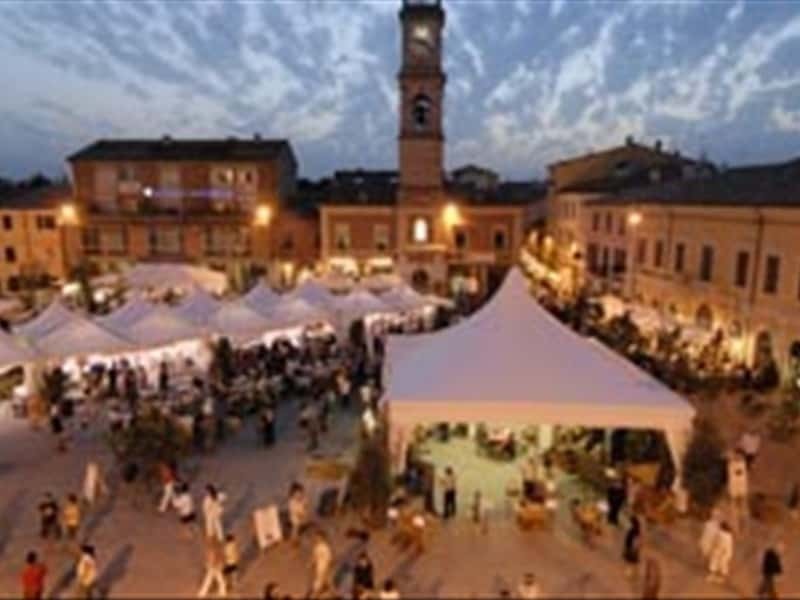 The town center lies along the Via Emilia between Forlì and Cesena. The Bologna - Ancona railway line stops at Forlimpopoli, and the town can be reached by car from the exit of the A14 motorway of Forlì arriving from the north, and from the exit of the same motorway of Cesena, arriving from the south. The Cesena west exit of the E45 highway from Ravenna to Rome is near Forlimpopoli too. In the name of Pellegrino Artusi the historical centre of Forlimpopoli is going to look more and more like a late XII - early VIII century town, characters which it already keeps. It is not a fantasy operation of course, and not even an impossible come back to the past, but the recovery of values that do not have to be lost, the discovery of present fecund roots: well living together in a man size town. The buildings, the squares and the streets will get this historical aspect along the time, the private citizens themselves, in their renovations, following the approved town plannintg rules will give their contribution to the realization of a global harmonic effect. Artusi's town will be welcoming and based on conviviality. The hub of Artusi's town will be Artusi's House whose works of realization are being executed. It will be the Living House of the Italian Gastronomy; through the renovation and the new qualification of the Servants' Convent (1300) and of the annex Church containing precious art works, it was planned not only as the place where to keep Artusi's memories but first of all as the chief area where chefs can organise their stages, schools can present their courses and small or large firms, including the niche ones, can make their products known. The Itailan gastronomy is the most widespread one, and this huge wealth is kept inside the families, rather than in the restoration, be it more or less of high level, and also and most of all because in Artusi's town any citizen of the world will have to feel himself as at home. This town web page has been visited 26,288 times.